Professors of the NU Business school are also highly qualified. 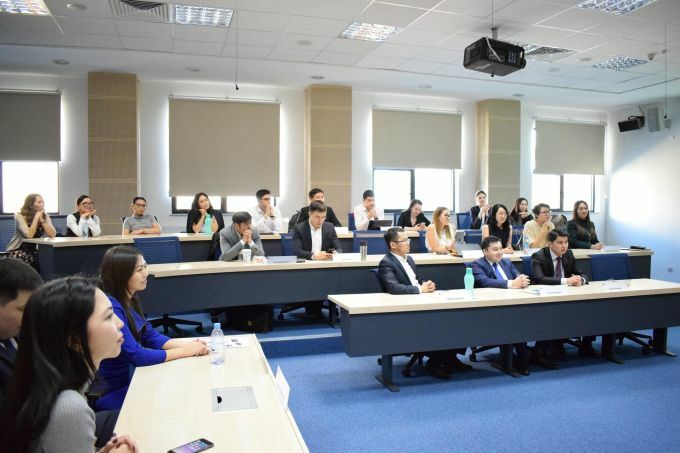 Graduate School of Business, Nazarbayev University (NU) has started the admission for 2019 in three directions: full-time MBA program, MBA program for managers and MSc in Finance (master of science in Finance) program. The correspondent of Zakon.kz looked into their peculiarity and applied orientation. Let’s start with the fact that the Nazarbayev University business school is the only one in Kazakhstan working in strategic partnership with the Duke University Fuqua School of Business, which is in the world top quality MBA programs. So, all the syllabuses of the NU business school are drawn up in full accordance with what is held at the American Fuqua School of Business. The program includes international modules, so students live in the US for a few weeks, study directly in Duke and take exams. 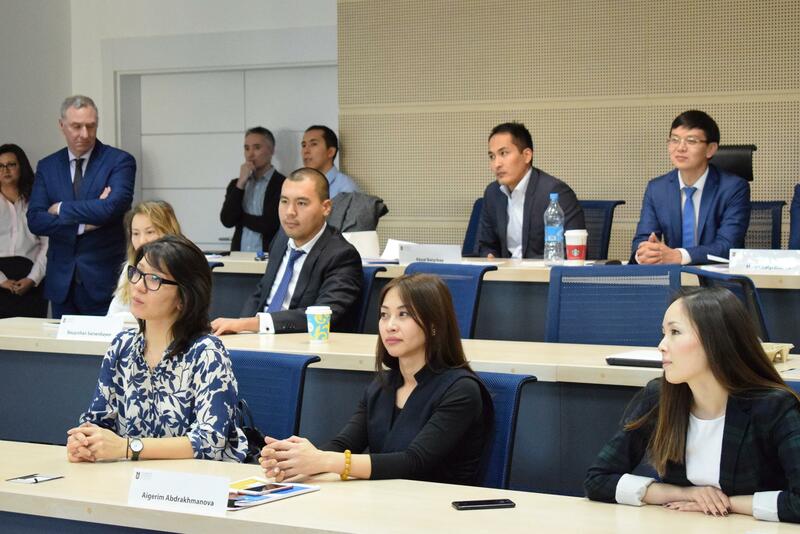 In addition, Duke professors arrive in Astana and conduct lectures at the Nazarbayev University Business School. Professors of the NU Business school are also highly qualified. In fact, this is the calling card of the business school. “We hire professors at NU Business School on the international market, most of them have to prove their superiority at international scale before they are admitted to us” – said Dean Patrick Duparcq. 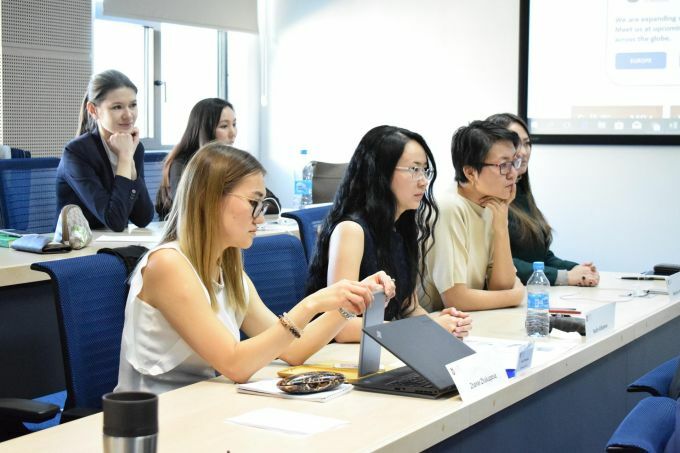 Over the past few years, NU Graduate Business School has become one of the best business schools in the CIS and Central Asia due to research published in leading journals. Some of the professors of the School work with the Nobel Prize winners. What is the difference between the MBA program for executives and full-time MBA in addition to the fact that full-time students practically live on the campus for a year and a half, and executives study for 20 months on weekends and one Monday a month? Probably one of the main differences is the language. Of course, all NU programs are taught in English, but executives have simultaneous translation. So it is not necessary to know a foreign language perfectly. Another condition for applying for an MBA program for executives is at least 5 years of work experience in senior positions. The curriculum consists of 15 courses (11 basic and 4 elective ones). The advantage of the program is the opportunity to learn and continue to work. But one of the main advantages of the program is networking. It is on this program that the entire business elite of the country is selected; there is an opportunity to build business relations with representatives of big business, accomplished businessmen, executives of national corporations, and get a quality education. The courses are selected in quality and content that they would not disgrace the American programs, but allow you to establish ties within the country. “This program is good because all the processes are built according to American standards – modules, discussion, training, built on specific cases. We looked at specific examples and business issues of Apple, Google, and so on, which as a result are perceived better than theory. So the education is relevant”, – said the graduate of the Nazarbayev University Business School, Director of the Department of legal support and methodology of Samruk-Kazyna Almat Dzhamiyev. By the way, Duke has a strategic partnership with few universities. So cooperation with Nazarbayev University can be called – unique. Even in the American University they note that they like students from Kazakhstan. When asked what you was given from the School of Business, Dzhamiyev answered “the network and knowledge”. He also added that despite the extensive experience in the business environment, the information obtained at the University has an applied value and relevance. “After studying in this business school, you better understand the processes within your company, estimate risks more deeply, see the possible consequences of transactions. The school gave a lot of relevant, fresh knowledge, pointed to modern trends,” he added. According to the research program, MBA program is most useful for people from 35 to 45 years old. After all, at this age you begin to grow, monetize previously acquired knowledge, experience and so on. So, the NU Business School can be called a good push towards development and personal growth. Although it is rather difficult to leave the comfort zone of a familiar life and to dive into study at this age. This program is designed for young professionals with experience of 2 years. The teaching staff teaches their students to understand the business risks and opportunities of social, political, cultural and environmental trends. To manage production capacity in a world where traditional resources are being depleted. To understand the ethical basis of achieving business solutions. 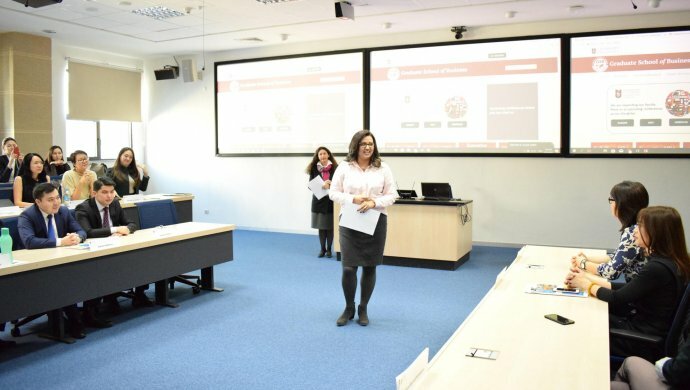 The full-time MBA program is being implemented in collaboration with Duke, students go there for an international module, but, unlike MBA students for managers, full-time MBA students study on campus for 15 months and must know English. IELTS requirements for applicants – not less than 6.5 points. This is also a full-time program. It is conducted in colaboration with the National Bank of Kazakhstan (National Bank). It includes 2 offsite modules: training at the National Bank in Almaty and London (mandatory training at the London stock exchange). This is a technically intensive program that lasts 14 months. Experience is not required. Instead, graduates usually get jobs in the field of bank investment, financial planning, corporate finance, financial analysis and consulting, as well as in the field of insurance, construction and real estate. In fact, the program trains personnel for the entire financial sector of the country. In order to enter the program, you need to know English and pass the GMAT or GRE test.